Baklava is a sweet rich dessert made of layers filo pastry and filled with nuts bound together in a sweet syrup. 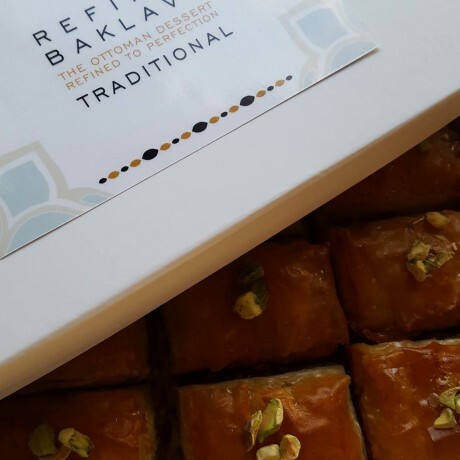 This pack contains 9 Pieces of Baklava, with each piece approximately 50-65g, beautifully presented in a gift box. Refined Baklava's Signature Citrus Syrup delicately binds the layers of filo pastry and nut filling together. Homemade and carefully handcrafted fresh to order. 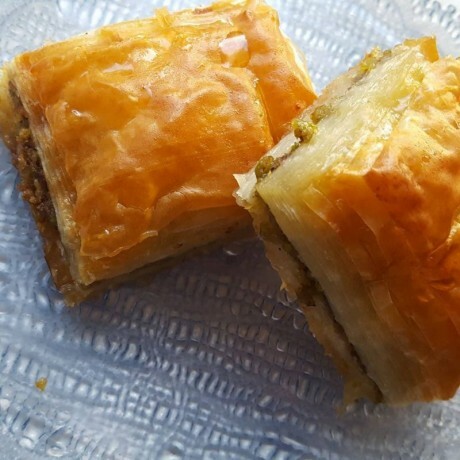 Baklava is thought to have been developed in the Ottoman kitchens of the Topkapi Palace in İstanbul, Turkey. Baklava was often featured at special occasions and was and still is widely regarded as the ultimate decadent treat. Refined Baklava was established by Zehra, and Baklava has always been a huge part of her life. Having been raised in London by Cypriot parents she would always look forward to special occasions to indulge in some Baklava. The light sweet taste of the fruit from a Mandarin tree on her grandparents farm in Cyprus inspired Refined Baklava's unique citrus syrup. 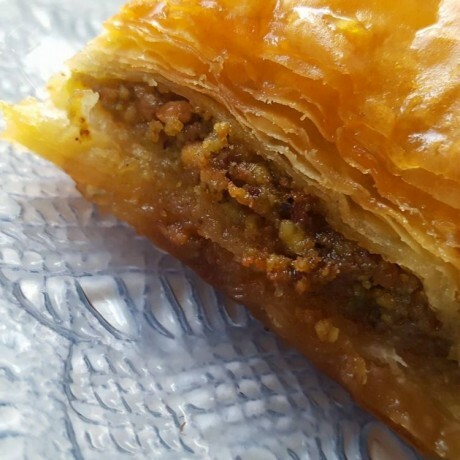 This baklava is made using traditional family recipes, adapted with the western palette in mind. Store at ambient temperature and eat within 5 days. Can keep in the fridge for approximately 7 days. Fantastic product ordered as a birthday gift, Packaging is very elegant and special looking which is perfect for those people who are difficult to buy for but who like a bit of luxury and the taste is just wow..!! Massively impressed and would certainly recommend.